What color paint is on the siding? - Looking for a deep gray or gray/blue for my home. Interesting color combo: Warm gray siding, soft white trim, periwinkle windows. oh my, love the door and look at the trim on windows, too much? 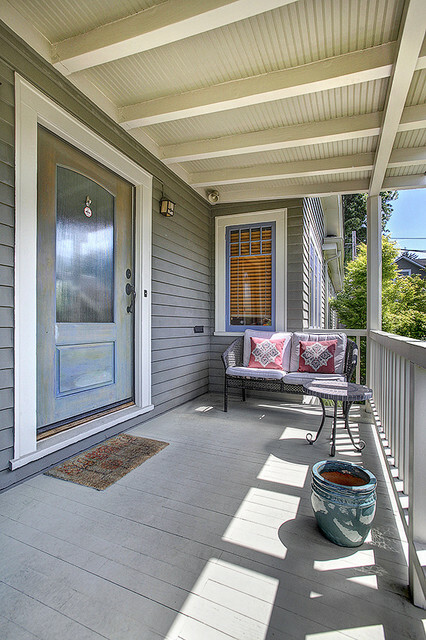 should we consider a slightly different color on the underside of the porch? Love the colour palette! And beautiful big shabby door.